You will find our crew tailgating on The GRID in space #5 of the Alley at least three hours before every home game and we do our best to travel with the team as well. All we ask is that you enjoy yourself and support our cause by dropping a few bucks in the donation box to help cover our expenses. All are welcome, drinking reserved for individuals over 21 years of age. 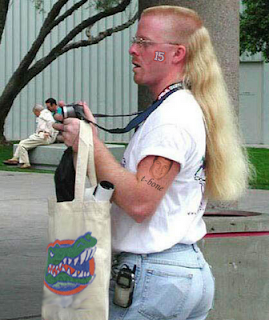 Just look for the always trendy Florida Gator +Jorts (Jean Shorts). Apparently this is the running joke in the SEC started by Georgia fans. 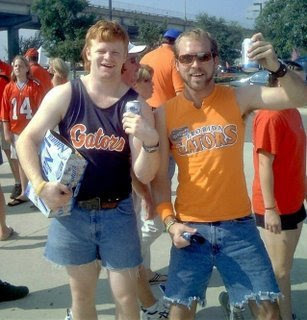 There is a web-site titled Gators Wear Jean Shorts dedicated to the topic. Even Oklahoma Oklahoma had fans in Miami last year with a dry-erase board counting Gator fans wearing jean shorts. CLICK HERE to read Florida's side of the story in The Real Story Behind "Gators Wear Jean Shorts" from GatorTailgating.com. I left a few photos of what we can expect in New Orleans! Cure for the BK2ND Virus???? Pour Some Sugar on Me! Bearcat Tailgater Takes Over Pitt. 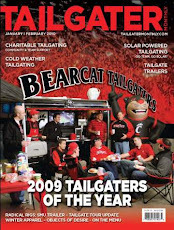 2010 Bearcattailgater.com. Awesome Inc. theme. Powered by Blogger.